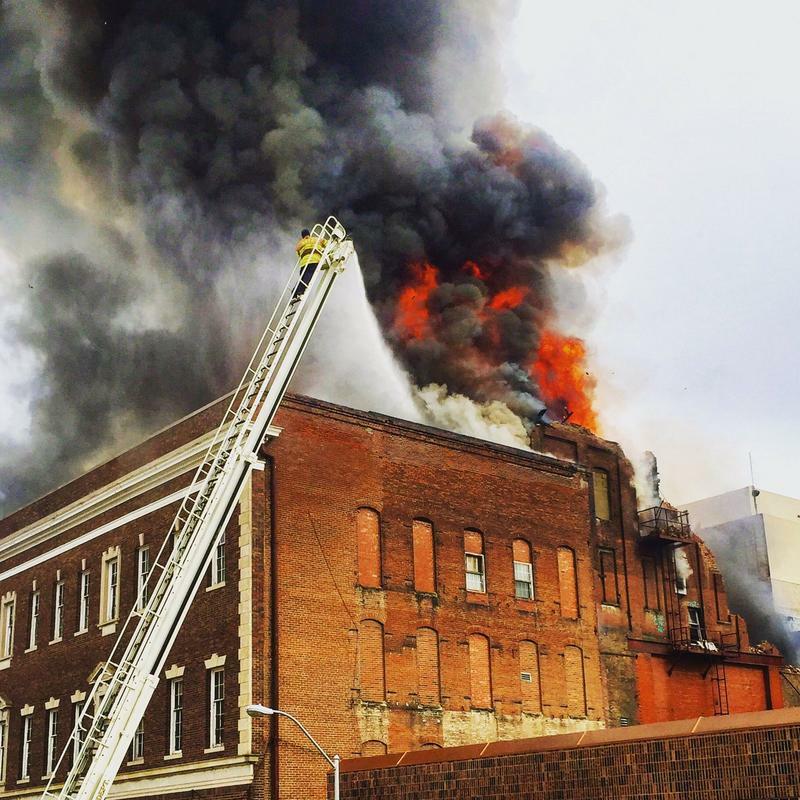 A massive fire was reported Monday morning at the Pioneer Building in downtown St. Joseph, Missouri. Shortly after 10 a.m, large plumes of smoke and flames were sighted outside the historic building at 510 Francis Street. The St. Joseph Post reports that about 60 firefighters and 15 fire trucks were called to the scene. According to the St. Joseph News-Press: "Smoke and flames could be seen coming from the top of the building." Officials closed streets and the public was asked to avoid the area around 5th and Francis. The building opened in 1872 as Tootle Opera House. Saint Joseph Museums curator Sarah Elder told the St. Joseph Post that, "it was considered at the time to be the finest Opera House west of the Mississippi." Elder said that William "Buffalo Bill" Cody performed there twice in his traveling Wild West shows. In the 1920s and 30s, attendance at the venue declined due to competition from motion pictures. The building was converted in 1939 into commercial office space and renamed as the Pioneer Building. Adam Stein, the agent for the building, told the News-Press that the property was vacant and on the market by its out-of-town owner at the time of the fire. About 92 customers were without power as of 10:50 a.m., according to KCP&L's outage map. KCP&L's Rebecca Salati told KCUR that crews were assigned to the outage. Laura Spencer is an arts reporter at KCUR 89.3. You can reach her on Twitter @lauraspencer.